Introduction of compressible fiber-aluminum gaskets to seal exhaust head pipes. Modified throttle bodies and flanges. Gas tank with the fuel sensor baffle. Modified hydraulic dampener with increased stiffness and sealing. New trunk lid weather strip. New design of the oil deflector for the breather for 2WD models. Use of liquid paint on all body parts. Updated standard roller bearing used in the crankshaft. Updated welding for hydraulic damper mount. 3M Self adhesive kick start bumper. New rear brake hose and cable mounting bracket. Relocated master cylinder with universal link rods. Redesigned rear brake pedal that is higher and more comfortable. New H4 headlight with housing. New tonneau covers, standard Sunbrella and vinyl for cT model. Plastic wheel hub covers for front and sidecar wheels. Introduction of Universal spare wheel. Introduction of new EFI engine. Introduction of new cT model. New airbox with branch pipes. 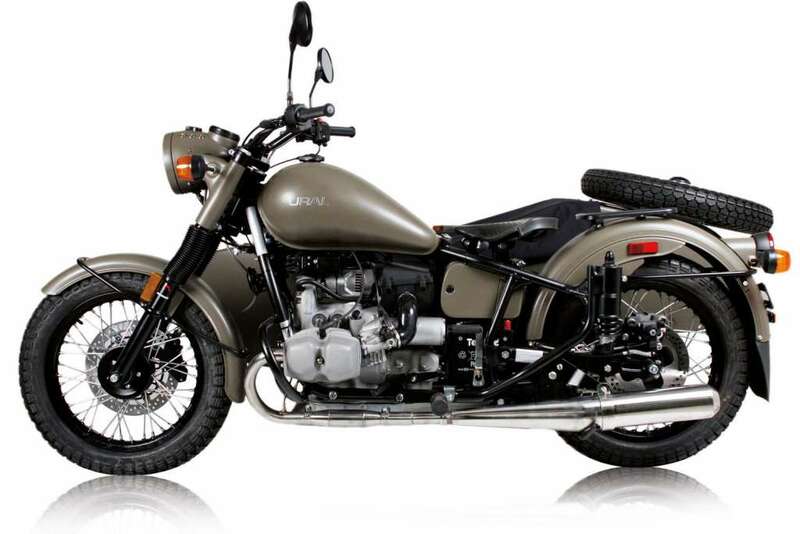 Disk brakes on front, rear, and sidecar wheels. Pre-formed fuel lines, breather, and brake reservoir hoses. New front brake reaction link. 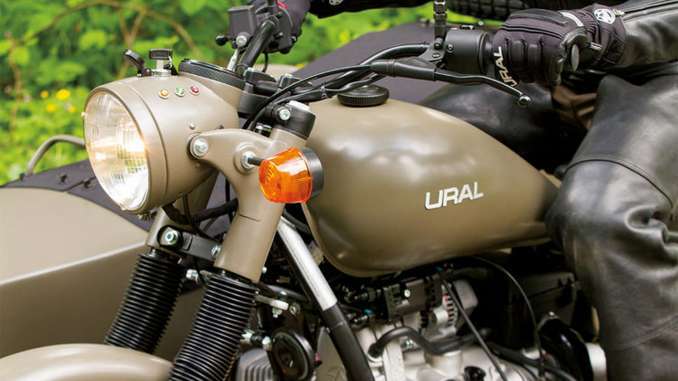 New Ural gas tank badges. New tank knee-grips with logo. New dashboard with updated indicator lamps. 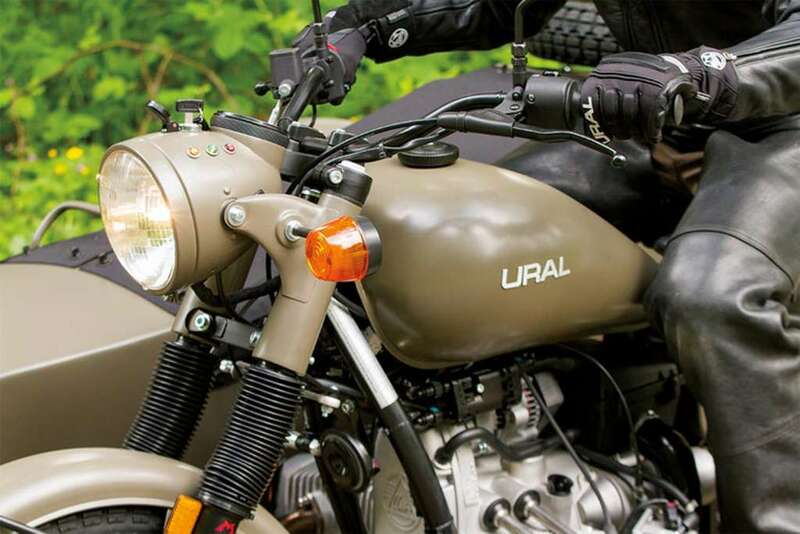 Front engine cover now featuring Ural logo. New diamond sidecar step plate. New military hardware fasteners on all tonneau covers. 3M seam sealers for improved protection. New piston rings with tighter tolerances. New camshaft with improved materials and bearing surfaces. Improved 2 piece design for sidecar drive shaft yokes. New 2WD gear hubs for final drive and sidecar swing arm drive. New 1 piece intake branch pipes that eliminates center coupler and clamps. New paint options including more powder coated colors. New Aluminum rims on all models. Trunk locks standard all models. New Cordura (canvas) tonneau covers and aprons. New aluminum upper fork bolts. Improved high strength final drive ring gear bolts. Aluminum alloy rims for Patrol and Tourist models. Rocker arms with needle bearings. Bearing instead of bronze bushing on the camshaft. Polished ports of the cylinder head. 40mm Marzocchi forks for Retro model. Standard (7/8′) handle bar size and removable risers. Bottom out travel limiter on sidecar swing arm. New NAK seals and SKF bearings. High quality 8.8 hardware used throughout. 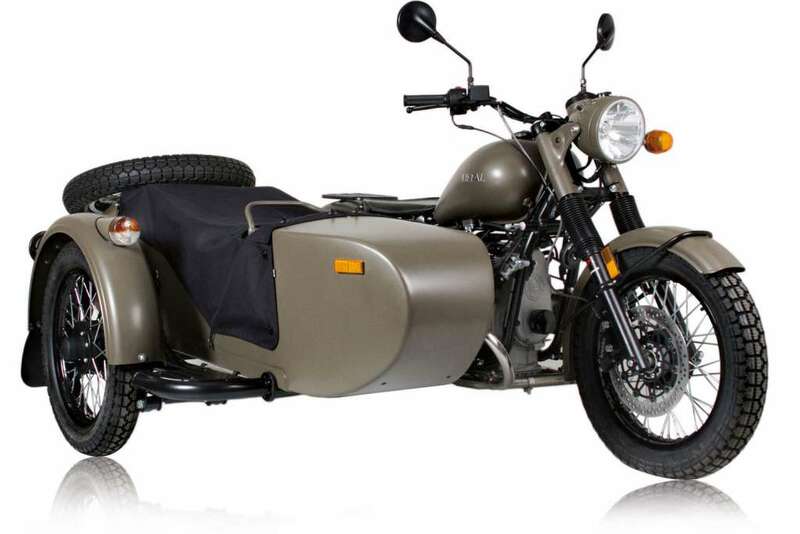 Every Ural comes standard with a lockable and water tight sidecar trunk. It’s the perfect size for extra gear, supplies, and whatever else your adventures may need.